Comments: Edmonia Harris Moon, was born at Viewmont in Albemarle County, Virginia, on March 16, 1851. 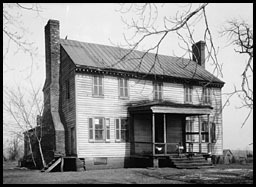 She was the daughter of Edward and Anna (Barclay) Moon, wealthy landowners and a Scottsville merchant, who lived at Viewmont; see photo of Viewmont at right. Edmonia surprised her family by accepting a call to go to North China as the first single woman Baptist missionary in 1872. By this time, the Southern Baptist Convention had relaxed its policy against sending single women into the mission field, and Edmonia's older sister, Lottie Moon, soon felt called to follow her sister to China. On July 7, 1873, the Foreign Mission Board officially appointed 32 year-old Lottie as a missionary to China. 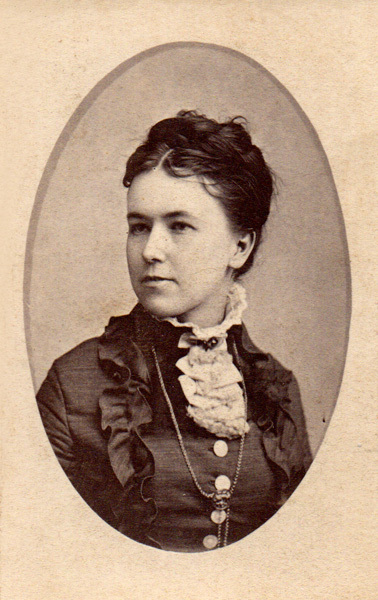 Lottie joined Edmonia at the North China Mission Station in the treaty port of Dengzhou, in Shandong and began her ministry by teaching in a boys school. Edmonia continued her missionary work in Dengzhou, China, for five years but had to return to America in 1877 due to illness. After regaining her health, Edmonia eventually moved to Starke, Bradford County, Florida, where she passed away on November 19, 1908. Edmonia Harris Moon is buried at the Crosby Lake Cemetery in Starke, Florida. Edmonia's will, dated February 17, 1907, was probated and recorded in Albemarle County Courthouse, Will Book 31, December 9, 1908. This photo of Edmonia Harris Moon was provided courtesy of Cenie Re Sturm, Scottsville, VA. This image of Viewmont was provided courtesy of the Library of Congress, Prints and Photograph Division, Washington, D.C. 20540; Call Number: HABS, VA, 2-CHAR.V.2-1 (160637pv).